Tags: Cascade, Chiffon, Cigarette Pants, Opal, Party Wear, Raw Silk. Cascade party wear embroidered chiffon shirt without slits and adorned with colorful embellishment. 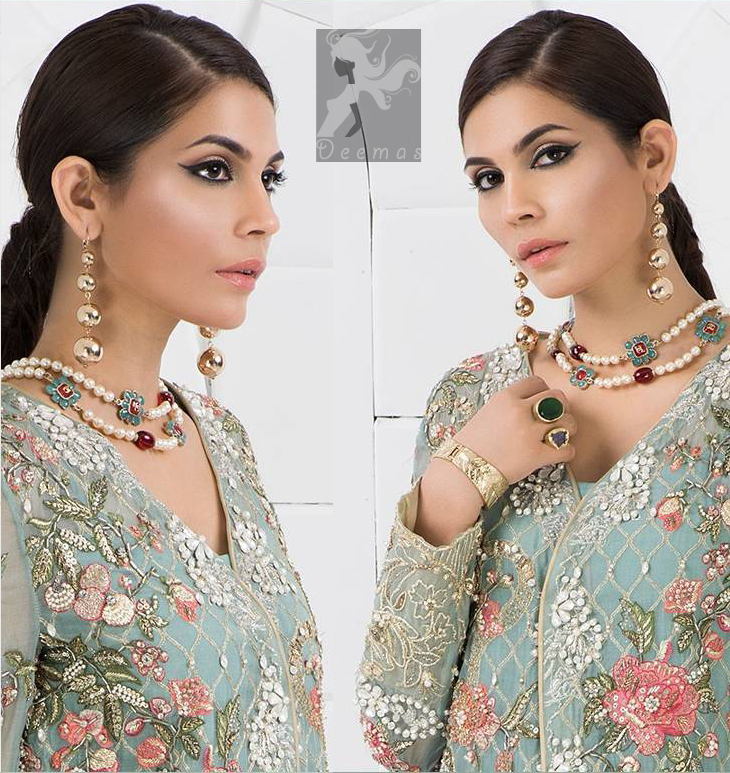 Shirt comes with Opal raw silk trousers and pure crinkle chiffon dupatta. Shirt adorned with embellishments on all over it on front. Work includes kora, dabka, stones, sequins, beads, silk threads and swarovski crystals. matching embellishment , light golden and mix embellishment. 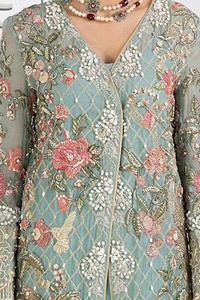 Cascade embroidered chiffon without slits shirt adorned with colorful embellishment. Shirt comes with Opal raw silk trousers and pure crinkle chiffon dupatta.